Join us for one of our three weekly worship services and discover a deeper, more meaningful relationship with your neighbors and with God. Join Us. Follow the traditional liturgy using the Lutheran Service Book of Worship (hymnal), sing hymns and songs accompanied by an organ in a formal environment. Follow the Lutheran liturgy using a projection screen, sings songs accompanied by a modern band in a casual environment.  Stay up-to-date with everything happening at St. John's. In addition to the monthly newsletter, please check whether you would like to receive church notifications (such as church worship or event cancellations due to weather) or if you are interested in receiving additional informational or devotional materials that compliment the worship season (such as the scripture readings). For additional information or questions please contact the church office at (219) 362-3726. Visit our Thrift Shop Facebook Page for promotional deals and updates.